The last member of the early-season marmot team has arrived. Welcome Jenn! 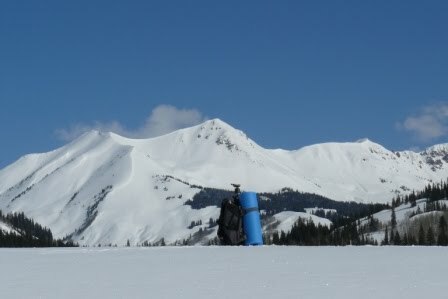 A lot of work is waiting for us, learning all the different colonies an locations where the marmots live is a hard work! 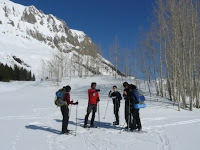 Marmot team making sure that all of us get the right name. The best part is that after a week of lots of snow, we finally got some sunny days to enjoy while looking up for the marmots. This is my backpack waiting for me to start working.